Click on an icon for more information or a list of hotels. 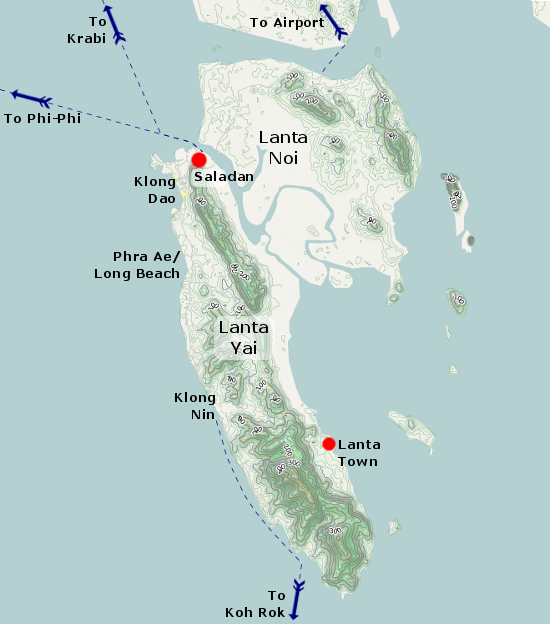 The west coast of Lanta Yai is lined with resorts and bungalows for almost its entire 25 kilometer length. Despite this, the Lanta islands are much less developed than Phuket or the Phi Phi islands, although many say that the scenery is not as spectacular. Still, the beaches are excellent and the prices are often highly competitive with the other destinations.